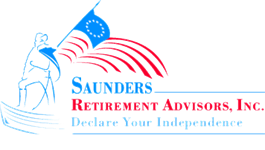 How We Get Paid | Saunders Retirement Advisors, Inc. Your first meeting with us is always free. We want to get to know you. We want you to get to know us. And we want you to decide if our services are a good fit for your needs. After that, we can structure our compensation as either fee-based and/or commission-based - it's up to you. This flexibility allows us to put our clients' interests first. Either way, all of our fees are fully transparent and reported to you on an ongoing basis. Need some personalized advice? We're here to help. Get in touch with us and we'll happily guide you in the right direction. Don't worry. We will never contact you without your permission.